The Freedom Model will set you free from addiction and recovery – the two constructs that keep people feeling trapped, hopeless, and in pain. No self-help book or program available today can make the same claim to free you from both these states of mind. The reason is simple – treatment, rehabs, and other addiction help believe that addiction is something you must forever fight and recovery is a state of continuing in this lifelong battle. All other models keep you immersed in this addiction and recovery trap. The Freedom Model offers you an effective permanent solution by showing you the way out of the addict/alcoholic identity that keeps you trapped in a struggle against the mythical disease of addiction. You can’t be truly free from the addiction/recovery cycle if you still believe addiction is something that happens to you. That’s exactly why you should read The Freedom Model – we’ll prove to you addiction is a choice and even the most dramatic of habits can be reversed or modified easily once you dispel the myths that surround it. The Freedom Model offers a solution, and we want to get it into the hands of people who want and need solutions. It is for those who want to make their own choices to reach greater happiness and enjoyment in their life. 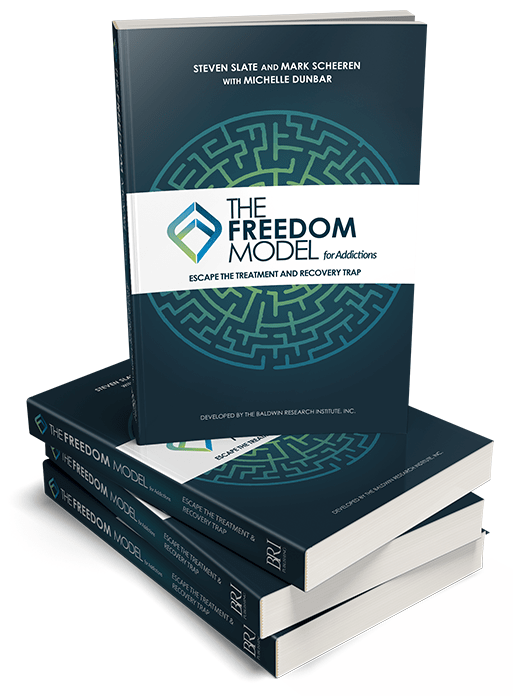 Ultimately, read The Freedom Model so you have all the information necessary to move past addiction and recovery and find complete freedom from both.